A few years ago I stumbled upon a series that I knew was special. Before the movies, before the screaming fans, when I first read The Hunger Games by Suzanne Collins I knew I’d found something special. It wasn’t the premise that drew me in – I almost didn’t read the book because it sounded too gory for me – it was the heroine, Katniss Everdeen. She was tough but vulnerable, self-sacrificing but a survivor. I had already finished the first book of my own series, The Conjurors, and it made me rethink how to create a memorable, compelling YA fantasy heroine. Below are some of the lessons that I took away from my analysis of Katniss. Serious flaws make for a more compelling protagonist. I think most authors know that their protagonist can’t be perfect. But at least for me, I find myself not wanting to make my heroine, Valerie, too flawed. I am afraid she’ll be unlikable. But analyzing Katniss taught me that this is a mistake. It is because Katniss can be angry, weak, and even lose track of her moral compass that I felt like she was so powerful. When she indulged her flaws, like when she got drunk and wound up in the fetal position in a basement after finding out she would be thrown into the hunger games for a second time, she felt human. When she overcame a flaw, like when she found the courage to inspire the rebels with her words in Mockingjay, it felt like a greater triumph because it didn’t come easily to her. Protagonists don’t always have to take the moral high ground. From the time in The Hunger Games when Katniss uses trackerjackers to attack her enemies to the end of Mockingjay when she assassinates the new president, Katniss doesn’t sit around over-analyzing the moral implications of every decision. She is a creature of action, which is part of what makes her so fascinating to watch. She isn’t like Superman, who refuses to kill. She is willing to do what it takes to survive and protect the ones she loves, even if her conscience is tortured by her decisions later. Romance should not be the protagonist’s primary motivator. I am willing to admit that I love romance, no matter what book I’m reading. Would I have objected to a few additional tender moments in The Hunger Games series? No. But I love that for Katniss, romance is always secondary to greater concerns. She’s not a girl to wallow and make all of her decisions based on the whims of her heart. Contrary to what I would have expected before reading this series, this makes the romantic triangle in the story more compelling, because we care more as readers what Katniss’ decision will be than she does herself. She’s too busy trying to save her district and fend off insanity. When pushed past what she can stand, it’s okay to let your heroine break. So many heroines and heroes come close to being broken by their experiences, but it’s not every day that you see a protagonist who truly is destroyed. The series is as much about Katniss rebuilding herself after extreme trauma as it is about breaking down in the first place. And though many of my friends were not fully satisfied with how the series ended, I thought it was courageous. It was the happiest ending possible for her character. PTSD doesn’t vanish overnight, it is a lifelong struggle. But I felt that Katniss didn’t give in to her tragedy, she fought to make a life for herself that was full. Who are heroines and heroes in literature who have inspired your writing? 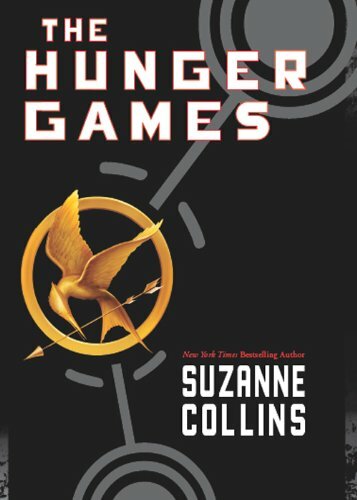 This entry was posted in Craft of Writing and tagged catching fire, heroine, hunger games, katniss, mocking jay, protagonist, Suzanne Collins, writing by conjurors. Bookmark the permalink. Interesting! I feel as if I learned something new through this analysis! Excellently said and that’s one of the reasons why I’m a huge fan of the series! Great analysis! I’m curious if you saw the movies. I did see the movies. I admit – I loved them, even thought they don’t do the books justice. What did you think? I agree. I loved the movies too, but thought they could have been better based on the books. The ending with the first one in particular and some character development in the second.